For some well-deserved holistic relaxation. 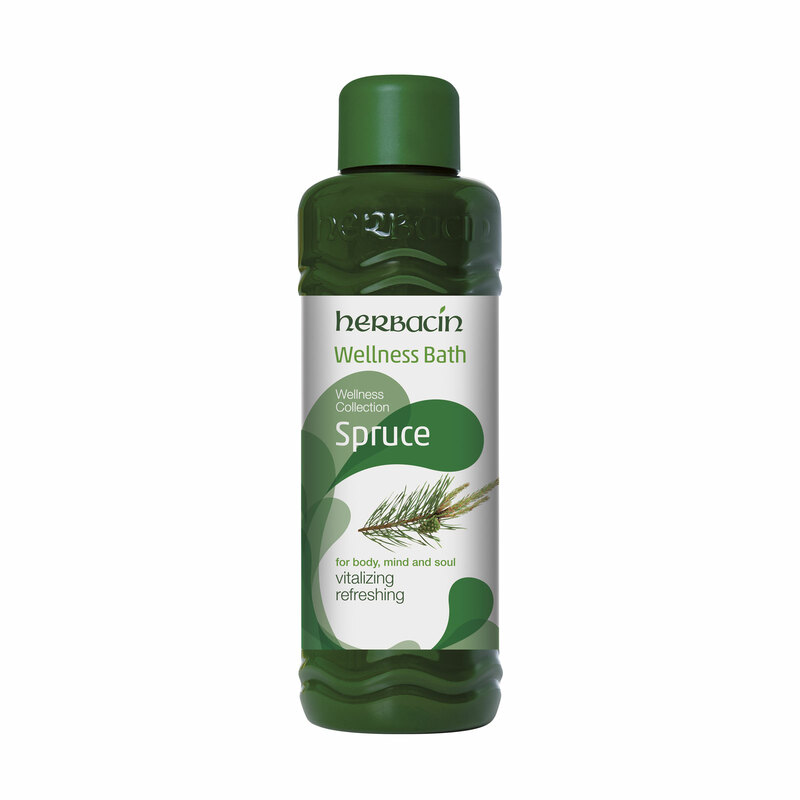 Herbacin Wellness Bath dwarf pine represents according to polls the most popular bathing aroma of the Germans. No wonder, our classic since the early 1930s is said to have a calming effect on both blood circulation problems and colds. For the careful preparation of its precious essential oils we exclusively use the needles and young shoots of selected conifers. Their pleasantly invigorating scent is taken up equally through the skin and the respiratory tract, thus contributing to your holistic relaxation. Also available as a shower gel.